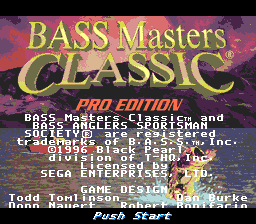 Bass Masters Classic: Pro Edition is an update to Bass Masters Classic. It was only released in North America. Main article: Bass Masters Classic: Pro Edition/Magazine articles.